Papua New Guinea is an undiscovered Eden that requires expert guidance to navigate safely, but for the adventurers prepared to hop off the beaten track, a world of wonder awaits. The country’s seemingly endless greenery, volcanic landscapes and intriguing locals create a compelling cruising experience. This itinerary by EYOS Expeditions’ Rob McCallum takes in the geographical beauty, mind-blowing diving and unique cultural experiences that this Melanesian paradise has to offer. 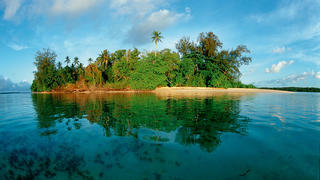 Day one: New Ireland Start your adventure in the northeast province of New Ireland. Experienced divers should head for the outer reef, a must-do scuba dive that offers incredibly clear visibility and great pelagic life. Alternatively, the lagoons around the inner islands of Nusa, Lissenung and Nusaum provide a great experience. If you circumnavigate nearby New Hanover, explore the WWII wreck MV Sanko Maru and the mini-submarine. Papua New Guinea is an undiscovered Eden that requires expert guidance to navigate safely, but for the adventurers prepared to hop off the beaten track, a world of wonder awaits. The country’s seemingly endless greenery, volcanic landscapes and intriguing locals create a compelling cruising experience. This itinerary by EYOS Expeditions’ Rob McCallum takes in the geographical beauty, mind-blowing diving and unique cultural experiences that this Melanesian paradise has to offer. 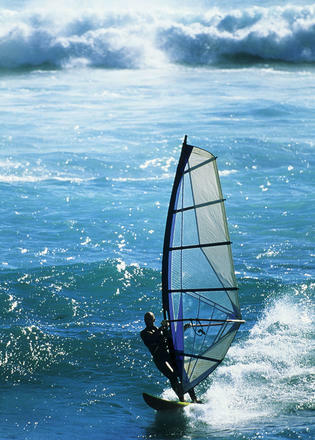 Start your adventure in the northeast province of New Ireland. Experienced divers should head for the outer reef, a must-do scuba dive that offers incredibly clear visibility and great pelagic life. 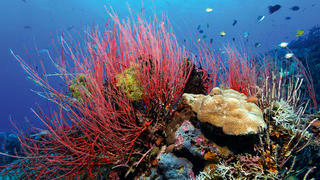 Alternatively, the lagoons around the inner islands of Nusa, Lissenung and Nusaum provide a great experience. If you circumnavigate nearby New Hanover, explore the WWII wreck MV Sanko Maru and the mini-submarine. The lagoons between New Ireland and New Hanover are perfect for watersports with lee shore winds and a stunning backdrop for wakeboarding or waterskiing. Afterwards head to shore with your guide to meet the locals, who are skilled canoeists and welcome guests with a curious gentle smile. 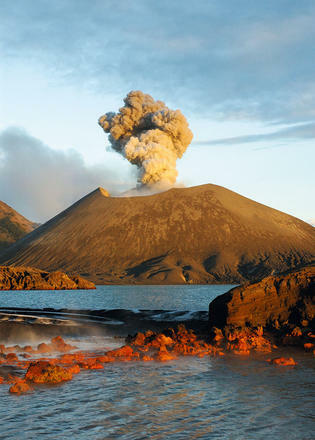 The city of Rabaul was destroyed by volcanic ash in 1994, but the new capital of the province, Kokopo, less than 20 kilometres away, has a bustling market and is a gateway to excellent volcano hikes. In the evening experience the Baining fire dance in the Baining Mountains, where men chant, dance and run through flames. Head to the largest marine reserve in the country, Kimbe Bay. Whales, dolphins and sharks breed in the bay’s waters so it offers unforgettable opportunities for diving or snorkelling. As the sun sets, charter a helicopter and take in the incredible views of the reefs offshore, as well as the volcanic crater of Gabuna. Cruise your yacht into the flooded caldera at the Witu islands – a dramatic crater created by the collapse of an ancient stratovolcano. 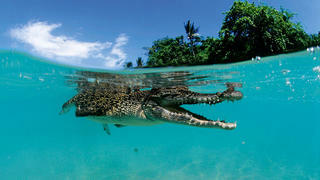 There is lovely swimming and diving outside the caldera but be wary for crocodiles inside. On dry land there are plenty of hikes up to the summit ridge with its superb views. 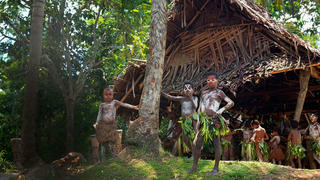 Discover the Sepik – regarded as the longest unpolluted river in the world. For vessels of a suitable draught (less than 4 metres), a local pilot can take you upriver for a journey back through the millennia. Expect to see old villages, crocodiles and laughing kids all waving frantically.